I might be the world’s most critical person when it comes to biopics. This is often due to the fact that I am, at my core, a historian and value as much historical accuracy as is possible when it comes to these types of movies. Films have an impact and, for some reason, the vast majority of mainstream audiences tend to believe that what a biopic tells them about an event or someone’s life is basically true. I have seen too many biopics, especially music-related biopics, fail horribly at giving the real story (ahem, Oliver Stone’s The Doors…) so as you can imagine, when I learned that a biopic on one of my musical heroes (Brian Wilson) from my all-time favorite band (The Beach Boys) was in the works, I was super weary about it. Previous made-for-tv biopics regarding The Beach Boys have been, quite frankly, absolutely horrendous. 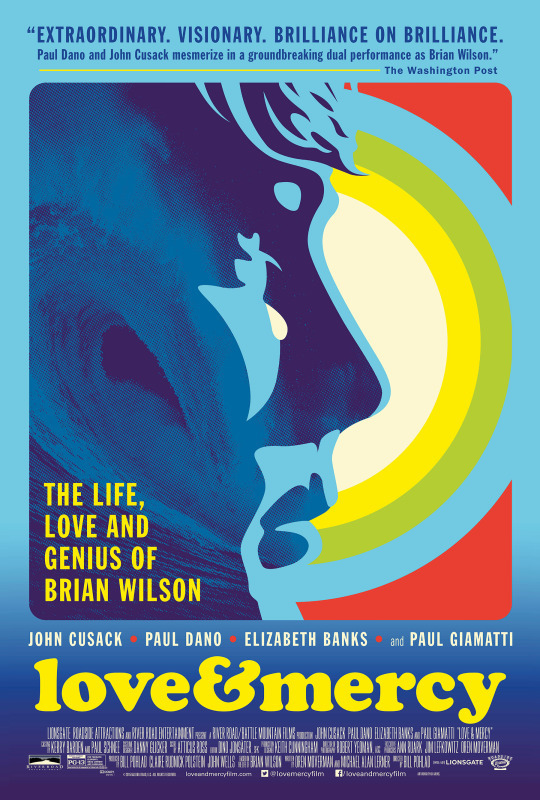 I’ve been a devoted fan of The Beach Boys since I was about 11 or 12 years old and I have been researching them ever since – and so I went into the new Brian Wilson biopic Love & Mercy extra critical, knowing I’d pretty much be able to catch any inaccuracies (or outright lies). Thankfully, I was not terribly disappointed.